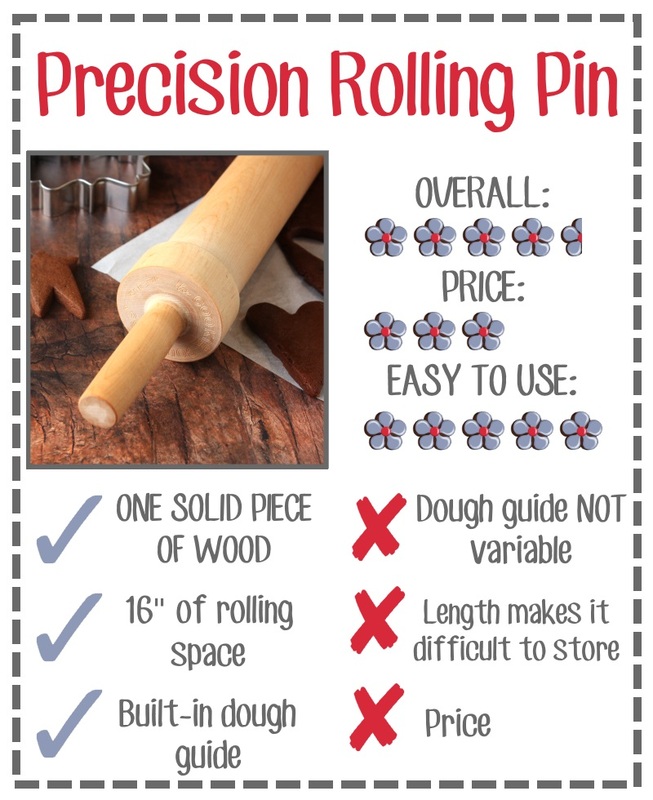 The Precision Rolling Pin is a solid birch rolling pin with built-in dough guides. No more rubber dough guides that squish flatter with the pressure of rolling and slide off the end when you aren't paying attention or guide sticks that slip away from you when you're watching Netflix. I mean... hypothetically. Let's start with my favorite part. It's all one piece! Do you see that?! The handle AND the rolling pin are all ONE PIECE OF WOOD. I know this might come as a surprise...but sometimes, I get a little...energetic. I've broken the handles off more than one rolling pin. And honestly, if I somehow manage to break this rolling pin, I'm actually going to feel like a super hero. 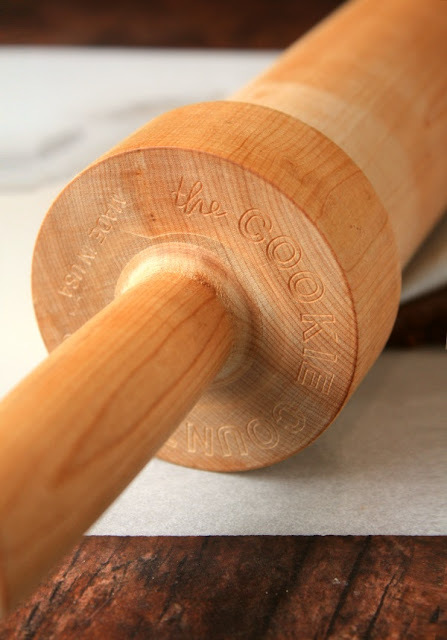 This rolling pin's claim to fame is definitely the fact that the dough guides are BUILT INTO the rolling pin itself! There are currently two sizes of pins. You can get one with a 1/4" dough guide or a 3/8" dough guide. 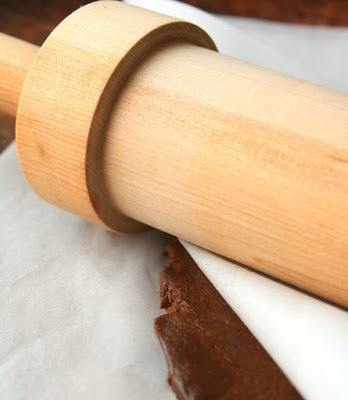 An obvious downside is that if you only have one rolling pin....you only get one dough guide. If you are a pastry chef rolling all sorts of delicious baked goods at different heights, this probably isn't the rolling pin for you. 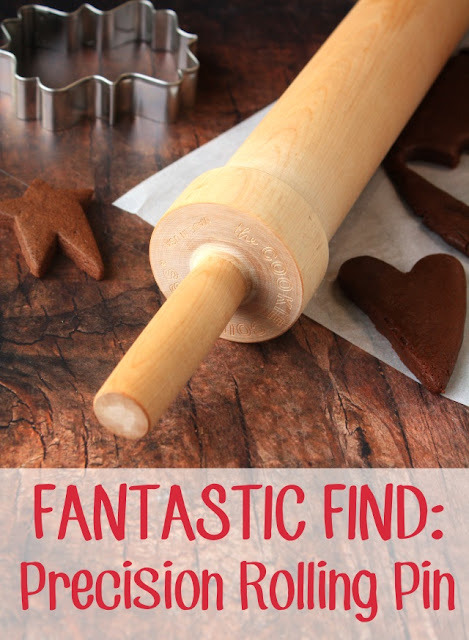 But if you are a set-in-your-ways cookie decorator who would sooner move across the world than change cookie dough height...this pin is right up your alley. At 26" long, this is probably the longest rolling pin I've ever seen in my life. The actual rolling part in the center is 16" long. The piece of parchment paper in the photo is the size of a half-sheet pan. I can't imagine ever needing to roll out more dough at once. The down side is that you have to find a place to actual KEEP this thing! 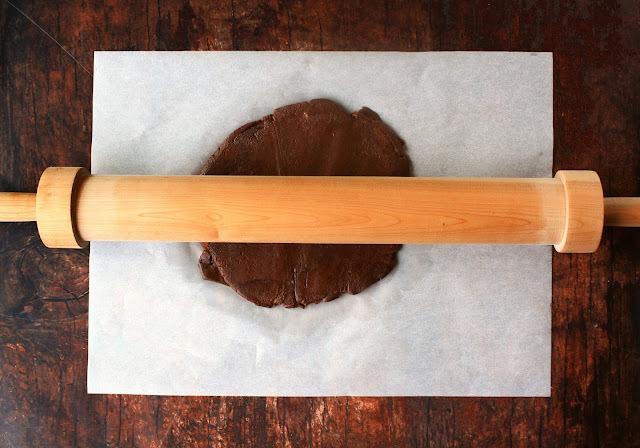 Bottom Line: At $50, this rolling pin is definitely an investment. If you want a solid rolling pin for large batches of dough and hate those rubber dough guides and guide sticks...THIS is your rolling pin. If you're not sure you are going to be making cookies next month, or if you switch your dough guides more often than you wear pants that don't have the word "yoga" in front of their name...this might not be worth the investment. If you *do* want to get one of these gems...you can use the code PIN today only (September 8) at The Cookie Countess for free shipping in the US!! Tell me: How often do you change your rolling pin guides?